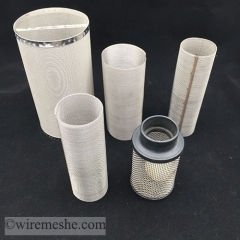 Cylinder filters can be single or multi layered. Also produced with AISI 304-316 materials. Sizes can be according to customer specifications. Up and bottom edges can be framed with aluminum or stainless steel materials.